Life is about compromise, don’t you think? Not with everything, but with lots of things. I chose to compromise on something recently. 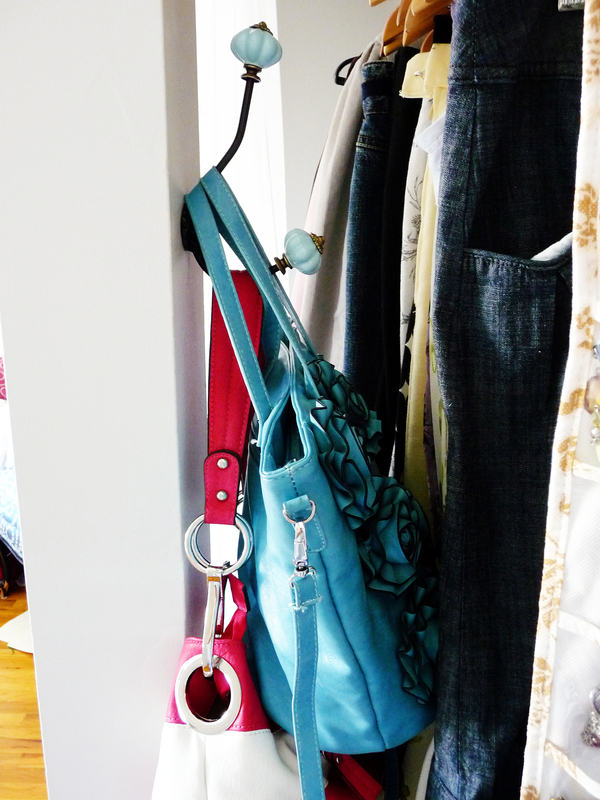 I have a darling hook that I bought so I could hang my darling purses on it in my bedroom. My blue darling purse is on the floor next to the ugly trim that we haven’t replaced yet. 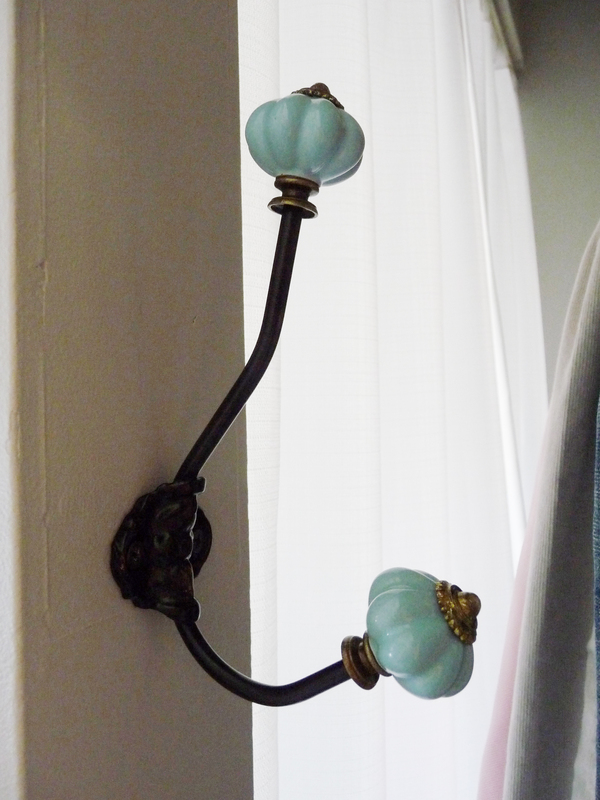 I wanted to hang it on this wall next to the mirror not only for functionality but because, like I mentioned earlier, the hook is darling. But Curtis isn’t really into darling things. I can’t imagine why not. I mean, I know he’s a guy and all, but really? Look at the cute hook! I mean darling hook. So after several weeks of debating about where to put it, we finally both agreed on a spot. So this is where my darling hook with my darling purses on it is now. They’re hanging on the backside of the support beam that’s in the middle of our closet. I know, I know. I’m the only one who can see them. But that’s okay. Because it makes me smile every time I hang them up. 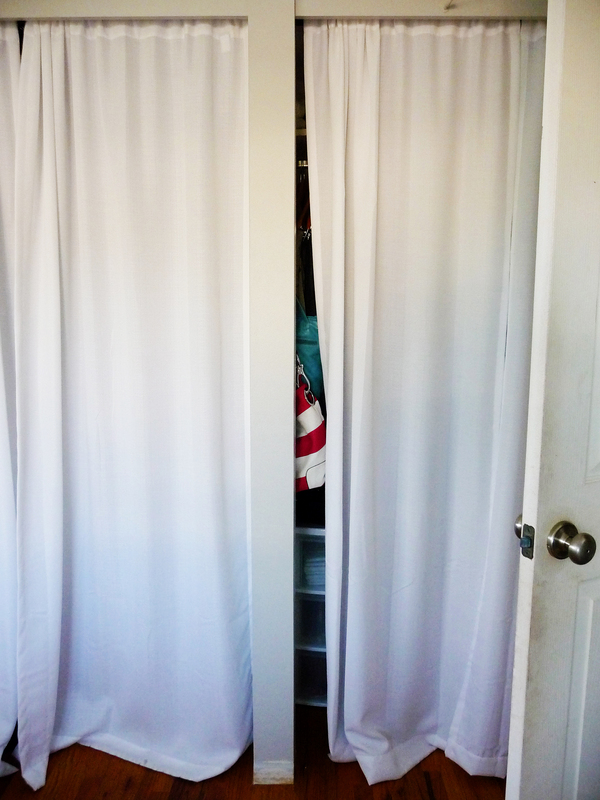 And it makes Curtis happy because he doesn’t have to see them at all, unless the curtain is slightly open. And then I smile. Compromise. Do it with something you’ve been wanting to organize and notice how it makes you feel. 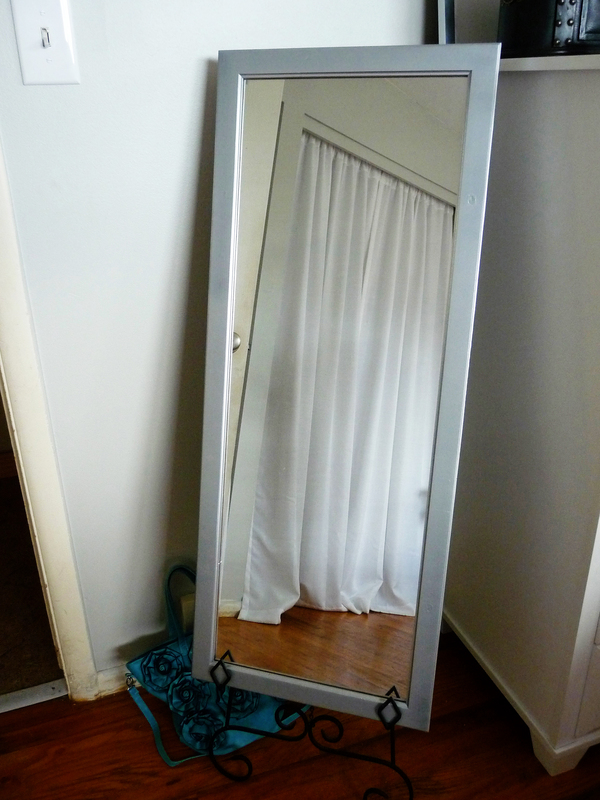 This entry was posted in Organizing and tagged closet, compromise, hook, mirror, purses. Bookmark the permalink. Thank you Jenn! Compromise can work in many ways =). This was a great thing for me to read this morning… P.S. Get out of my brain, lololol!!!!! <3! Thank you. It’s so hard to do sometimes, but it feels so good when I do it. I should do it more often!